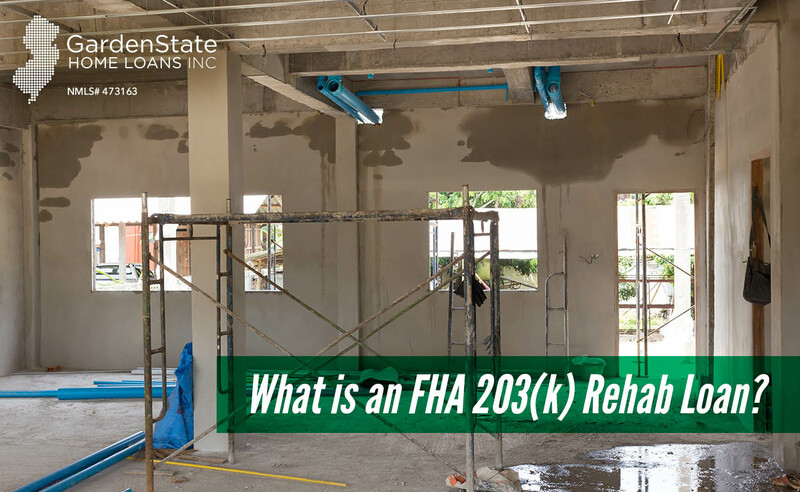 An FHA 203(k) rehab loan is also known as a renovation loan. It allows homebuyers to finance both the finance the purchase or refinance of a home along with a renovation through one mortgage. Once the loan is approved, a date is set for the closing. After closing on the property, a repair escrow account is set up. Repairs must start within thirty days of closing and they must be finished within six months. With a limited K loan, the contractor typically receives 50% of the total amount agreed on within fifteen days of the closing. The remaining balance is paid after the work is completed. With a consultant K, a HUD 203(k) works with you. They will inspect repairs as they are finished and allow for draw payments based on the work passing inspection. For both types of loans, after the final disbursement, any remaining funds are applied to the loan’s principal balance. To get an FHA 203(k) rehab loan, you must borrow at least $5,000. Limits on the maximum amount of money you can borrow vary depending on the state. However, most people purchasing a single-family home should not have trouble falling within these limits. Interest rates vary depending on rates in general and your credit score. You should expect to pay about 1% higher than you would on a standard loan. Down payments for an FHA 203(k) rehab loan is a minimum of 3.5%. These loans are designed to help homeowners improve their homes or purchase a home that needs to be updated. They help to create home equity fast by bringing your home up-to-date. In addition to gaining home equity fast, interest rate and down payments are lower than on a traditional loan. 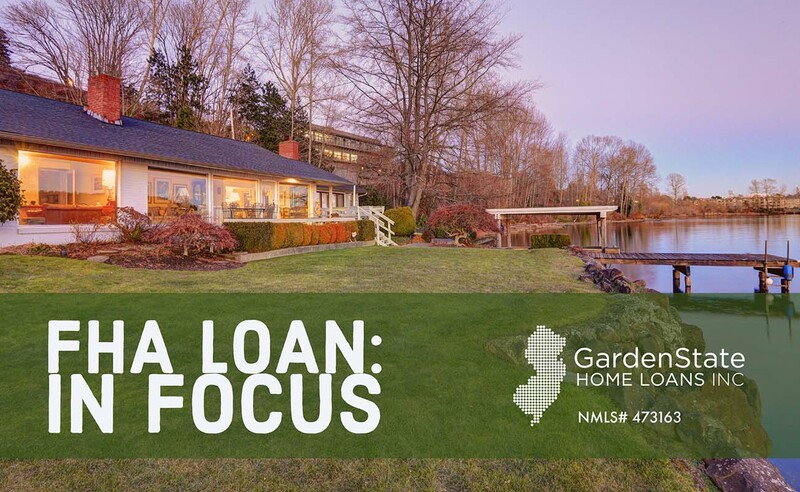 https://www.gardenstateloans.com/wp-content/uploads/2018/01/203k-Loan.jpg 800 1300 Dori Gelman https://www.gardenstateloans.com/wp-content/uploads/2017/05/fb_logo-300x141.jpg Dori Gelman2018-01-15 09:14:582018-01-15 09:14:58What is an FHA 203(k) Rehab Loan? What is a ‘Tax Credit’? A tax credit is an amount of money taxpayers can subtract from their taxes owed to the government. Tax credit values depend on the nature of the credit. Different types of tax credits are granted to individuals or businesses in certain industries or locations. While deductions and exemptions reduce the amount of taxable income, tax credits reduce the actual amount of tax owed. According to the American Recovery and Reinvestment Act of 2009, also known as “the stimulus package”, tax credits provide first-time homebuyers a tax break totaling 10% of the home’s purchase price, with a maximum tax credit of $8000. This amount may be less depending on the purchase price. First time FHA mortgage borrowers can use the entire tax credit for closing costs. Not everyone qualifies for a tax credit. In order to qualify, you must be a first-time homebuyer, meaning you have not owned a home previously or you haven’t purchased a primary residence in the last three years. For a married couple, each spouse needs to satisfy this qualification. However, purchasing other property doesn’t automatically disqualify you. There are also income limits. Single individuals cannot have a modified adjusted gross income cannot be greater than $750,000. Married individuals cannot have a household income of more than $150,000. While there is still a possibility that you can qualify if you don’t meet these, it is much less likely than those who do meet these qualifications. When purchasing a new home, it is important to consider multiple types of mortgage loans. The mortgage application process considers many aspect of your financial situation such as credit score, income, loan preferences, and debt-to-income ratio. Two popular loan options are FHA loans or conventional loans. Both loans assist borrowers in becoming homeowners. FHA loans are mortgage loans insured by the Federal Housing Administration (FHA). They are highly popular among first time home buyers due to 3.5% down payments for credit scores 580 and above. If you have poor credit history, FHA loans may be a perfect fit. FHA mortgages plans also forgive bankruptcy and foreclosures. You may be eligible for FHA loans 2-4 years after bankruptcy or 3-7 years after foreclosure. FHA loans are not restricted to geographic areas, however loan limits are based on the median income in a given area. Furthermore, FHA loan programs only offer insured loans, and do not act as a guarantor. FHA loans also have flexibility with source of down payment funds and allow another party to gift 100% of the down payment. With lower down payment options and lower credit score limits, FHA borrowers are also eligible for a special refinance program called ‘streamline refinances.’ This refinance program is for homeowners currently in an FHA loan and may provide a lower rate on your FHA mortgage with out a complicated process. Other benefits to the FHA Streamline refinance include 5-year adjustable rate (ARM) and no required appraisal. Furthermore, the FHA Streamline refinance program offers 15, 20, 25, or 30 year fixed-rate loans. The FHA Assumable Mortgage Program is another benefit of the Federal Housing Administration. Assumable loans allows qualified new home owners to take over the mortgage of the former home owner. This program is popular when parents gift children the home, children inherit the home, or spouses split assets. The new mortgage owner must be creditworthy as determined by an exploration of income, debt, and credit of the new borrowers. 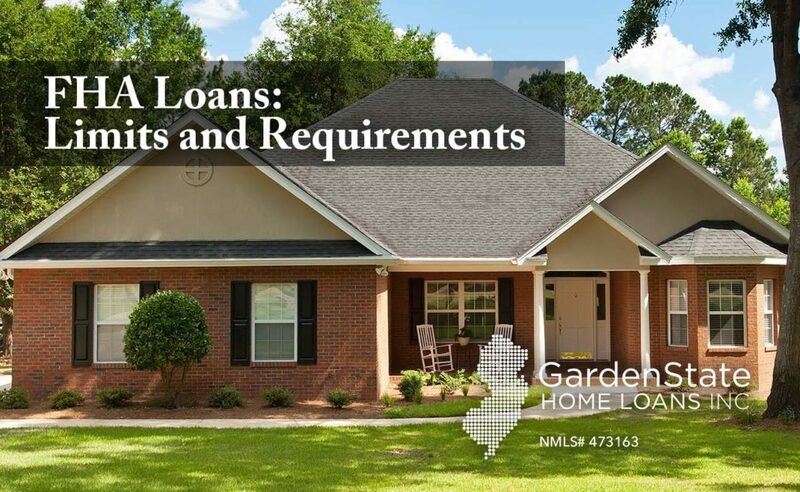 Learn more about FHA loan requirements. No flexibility with loan insurance premiums. Have to pay in every case. A conventional loan is a mortgage plan that is not insured by a government agency. This loan is used to purchase primary homes as well as second homes and investment properties. These loans generally follow Government Sponsored Enterprises (GSEs), Fannie Mae and Freddie Mac guidelines. 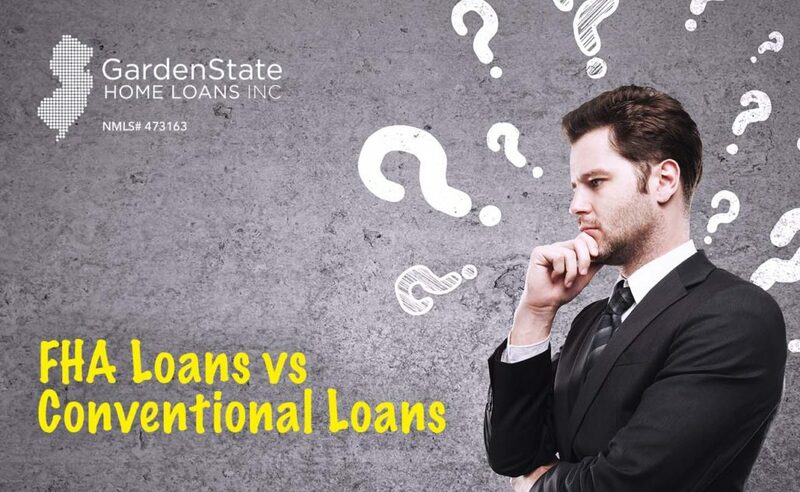 There are two types of Conventional Loans: conforming and non-conforming. Conforming loans comply with Fannie Mae and Freddie Mac. These conforming loans are for loan amounts less than $417,000. Non-conforming loans amounts are above Fannie Mae and Freddie Mac lending guideline and are geared towards those who do not qualify for conforming loans. Private Mortgage Insurance (PMI) is a key factor in Conventional loans. For a conventional loan, the PMI is risk-based. This means premiums are lower for those with higher down payments and higher credit scores. Conventional loans do not require any upfront mortgage insurance payments. However, for borrowers with down payment less than 20%, ongoing mortgage insurance is required. Lenient loan insurance: Yes, if the LTV exceeds 80% and insurance will end at 78% LTV mortgage insurance is less expensive (0.51% vs 0.85 with FHA). No upfront PMI required. Not flexible with past credit issues. Offers higher loan amounts, and lower monthly payments depending on the interest rates. When purchasing a home, consider FHA Loans or Conventional loans for your mortgage needs. Find more information about refinancing an FHA loan into a conventional loan. Can I Refinance my FHA Loan into a Conventional Loan? Can I Refinance From an FHA Loan to a Conventional Loan? In short, yes. If you currently have an FHA mortgage loan, you can refinance and convert it to a conventional mortgage. FHA loans are incredibly popular among first-time homebuyers, as their low down payments and lax credit requirements can make getting a mortgage much more affordable. After purchasing a home, however, many borrowers feel burdened by their FHA loan and look to refinance. Mortgage insurance fees associated with FHA loans can quickly become very costly. The FHA requires that borrowers pay two different insurance premiums: an upfront mortgage insurance premium — a one-time payment that equals approximately 1.75% of the loan’s principal balance and is paid at closing — and a monthly mortgage insurance payment. While the low interest rates for FHA loans may be attractive to first-time home buyers, these insurance fees can add up to $500 to a borrower’s monthly mortgage payment. Because of this, homeowners with FHA loans may be wondering if there’s anything they can do to reduce their monthly payments and save money in the long-run. Luckily, refinancing to a conventional loan allows borrowers to do just that. As home values continue to rise, many borrowers find that they have more equity in their home. This increased equity is largely what makes it possible to refinance from an FHA loan to a conventional loan. Conventional loans may have stricter credit requirements or require borrowers to provide more financial documents and disclosures to lenders, but switching from an FHA loan to a conventional loan can result in significant savings. As previously detailed, many borrowers with FHA loans struggle under the weight of the added monthly mortgage insurance costs, but with a conventional loan, all mortgage insurance requirements are canceled, so long as the homeowner has a 78% loan-to-value (LTV) ratio on their home. Although conventional loans typically have higher interest rates, borrowers are also able to take out larger loans through refinancing to a conventional mortgage. While there may also be high closing costs associated with a refinance, these are often worth it, given the benefits of switching from an FHA loan to conventional loan. 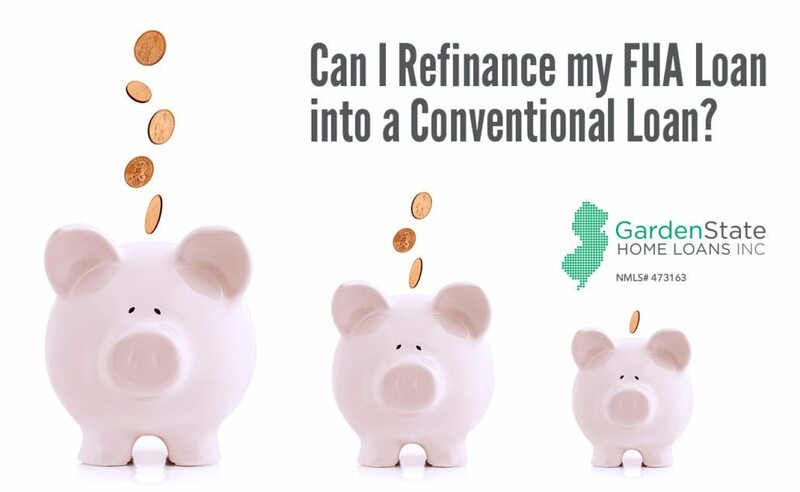 So, how can you refinance from an FHA loan to a conventional loan? Before you consider refinancing, you should find out how much equity you have on your home to verify that you meet the 78% loan-to-value requirement. Additionally, you should conduct what is known as a break-even analysis. Although refinancing from an FHA loan to a conventional loan offers great potential for savings, that might not always be the case. By conducting a break-even analysis, you can chart how much money you stand to save (or lose) over time by moving ahead and refinancing. You should also seek the approval of the FHA, even if you’re not switching to a different lender. Overall, refinancing from an FHA loan to a conventional loan is the same as a normal refinance. Firstly, do some research about qualified mortgage lenders in the region and make a short list of about 5 or 6. Ask each one to provide you with a good faith estimate (GFE) and a quote for the refinance. Be sure to inform them that you want to convert from an FHA loan to a conventional loan. Compare each lender’s offer by using the “shopping cart,” located on page 3 of the GFE. Additionally, determine which loan type is best for you based on how long you will live in the house and your ability to afford the monthly payments. Decide upon a lender and move forward with them in applying to refinance. Provide them with all the necessary documents, including things like pay stubs, income tax returns, recent statements from personal assets, and credit reports. You may also be asked to verify your identity with a copy of your social security card, passport, or birth certificate. Contact a home appraiser about conducting a home appraisal. Once the appraisal is complete, get the appraisal report to your lender as quickly as possible. Attend the closing process and sign the final documents. You will be permanently locked-in at the rate detailed on the final closing disclosure unless you choose to refinance again at a later time. The whole process of refinancing usually takes about several weeks to complete. If your loan-to-value ratio is greater than 80 percent of the home’s value, one option to consider using is the streamline refinance option. This refinancing option is faster, requires far less documentation, and can even offer you a lower rate than traditional refinancing can offer. And remember, when trying to decide what kind of refinance loan is best for you, make sure to keep an eye on trends in home prices and mortgage rates, so as to weigh all of your options. 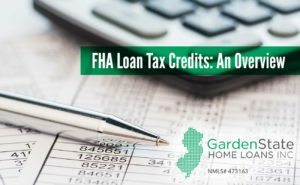 https://www.gardenstateloans.com/wp-content/uploads/2017/07/Refi-FHA.jpg 800 1300 gardenstateloans https://www.gardenstateloans.com/wp-content/uploads/2017/05/fb_logo-300x141.jpg gardenstateloans2017-07-28 15:38:212018-02-16 09:18:48Can I Refinance my FHA Loan into a Conventional Loan? Although they vary by state and county, there are general loan limits that the FHA details. Updated in May of 2017, FHA loan limits are set based on loan limits produced by the Federal Housing Finance Agency (FHFA). These recent limits set a minimum borrowing amount of $275,665 and a borrowing cap of $636,150. However, these may not be reflective of the limits in your state. Although variation is not dramatic from state to state and county to county, these differences play a role in your FHA loan offerings. Check online for more information on your state’s loan limits: NJ, PA, NY, CT, FL. If you fit these criteria and if the loan limits suit your needs, congratulations! You’re now well on your way to financing your home. Federal Housing Administration (FHA) loans are loans designed to help low-income earners with their home and property needs. The FHA, a subdivision of the Department of Housing and Urban Development (HUD), approves lenders and insures part of each loan it oversees. FHA loans can be used to purchase property, renovate existing property, or even earn money off your current mortgage. FHA mortgage loans have various benefits that make them the ideal loan option for low income-earners or even first-time home buyers. They offer low down payments (minimum 3.5% of the loan’s value), low or no closing costs, and have a good degree of credit score leniency. The minimum credit score, for example, is 580 for full financing, and you may still be eligible for up to 90% financing with a score as low as 500. As such, FHA Home Loans offer a great deal of flexibility and support to low to moderate income earners. If eligible to participate, you can search for an HECM counselor here, in the HECM Counselor Roster. There are many costs associated with participating in the HECM program, such as mortgage insurance premiums and origination fees, but these can be financed by the loan itself, which simply reduces the actual amount from your equity that you receive. The Energy Efficient Mortgage program (EEM) seeks to help families direct more income to their mortgage payments by reducing their energy spending. EEM is a special program borrowers can participate in, in addition to their FHA insured mortgage. Borrowers devise an energy package – the set of improvements they wish to make to their property. This energy package is then tested for cost effectiveness in the Home Energy Assessment. If approved, the energy package will be financed and the borrower can get to work at augmenting their home’s energy efficiency. The FHA also offers loan assistance for factory-built housing and mobile homes. This works similarly to the FHA home loan, and is offered to land owners and mobile home owners. The various programs that the HUD and FHA offer allow home and other property owners to make the property decisions that are best for them without too much risk. These programs also offer property owners incentives for participating, especially the EEM and HECM programs. By incentivizing property owners to pursue projects with their current property or to seek new property, the HUD and FHA revitalize troubled communities and bring homes into the 21st century.